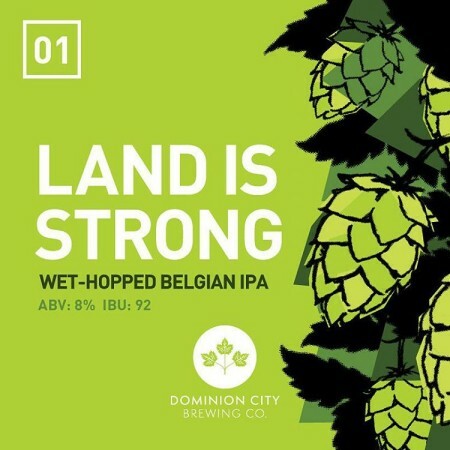 OTTAWA, ON – Dominion City Brewing has announced the a fresh hop ale released last fall during the brewery’s first few months of operation will be returning this week in a second annual edition. Brewed over a marathon all-night brewing session with fresh-picked Cascade and Chinook hops from Lot 17 Hop Yard in Campbellford, ON, this beer is sticky, dank and delicious. Land Is Strong will go on sale tomorrow (October 1st) in a limited run of bottles available exclusively at the Dominion City brewery retail store.